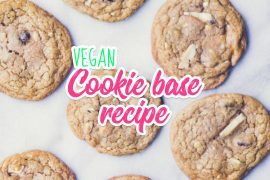 Creating vegan versions of traditionally non-vegan dishes or bake goods often takes some trial and error, particularly when it involves a binding agent. 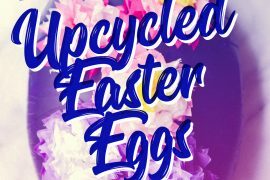 Eggs are one of the most common binding agents in recipes, but clever egg substitutes make vegan versions of eggy dishes possible. 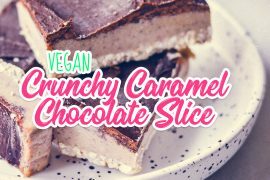 However, there’s one bake good that’s been considered pretty much impossible to make vegan. Meringues consist of two simple ingredients – egg whites and sugar, but despite there being a lot of substitutes for whole eggs, egg whites are a tricky thing to mock. Or so we thought. Preheat the oven to 100C / 212F. Whip the chickpea brine until frothy, then slowly start adding the sugar a tablespoon at a time while still whipping. Keep mixing until white peaks form and you are able to turn the bowl upside down without the batter falling out, just like with regular meringues. Dollop or pipe decorative blobs on a baking tray lined with parchment paper and bake in the middle of the oven for 1 hour. Allow to cool completely before removing from the tray. This recipe is SO COOL!! I would never have thought of it! 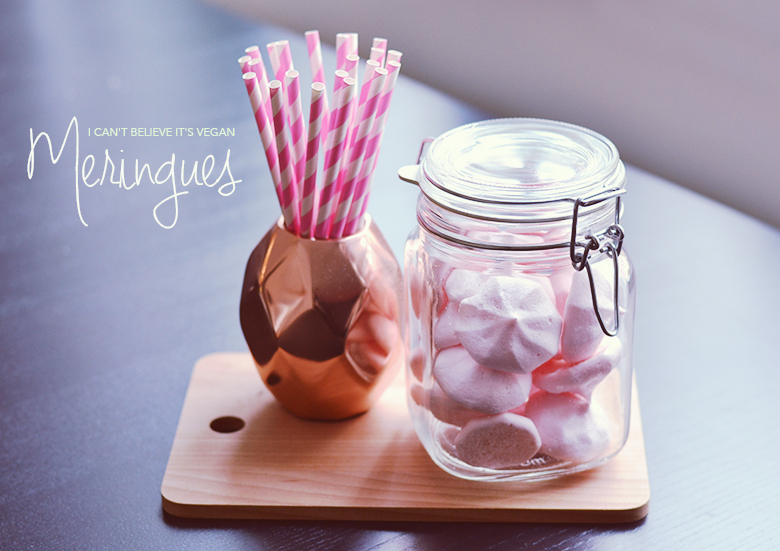 I LOVE the copper jar holding the straws!! Where did you buy it? No sure if my other comment went through because I refreshed my internet a little too early, so my question was: I’m obsessed with the copper cup/vase holding the straws, where did you get it? OMGOSH! I cannot wait to try this on the weekend. MIND BLOWN! Hi Tina, They look beautiful. What kind of sugar do you use? Thanks! I just used regular granulated sugar for these. I don’t know how these work, or why, but they just do. 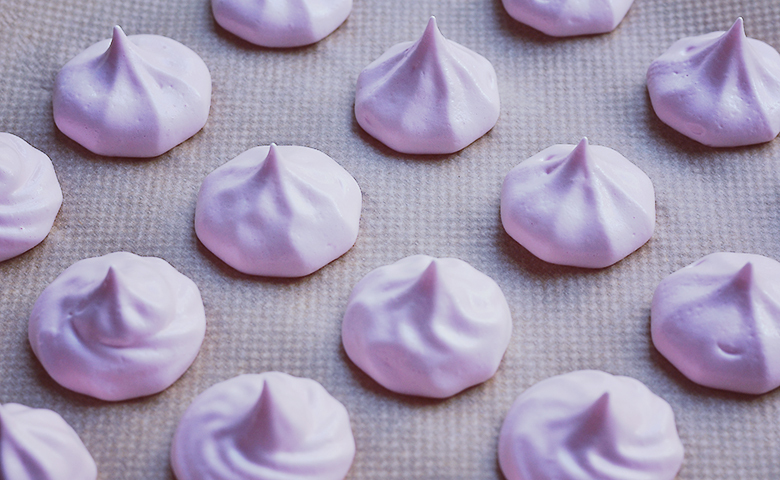 I haven’t had meringues in 3 years and so I had high expectations when attempting this recipe. I can honestly say I wasn’t just happy with outcome, I was blown away. Even my non-vegan family members preferred these meringues to the egg ones. Thank you for sharing! This is awesome!! Has anyone tried to use the meringue to make French Macaroons??? I have tried you recipe. They looked great, but after letting them cool down they still where fluffy from the inside. I’ll let them burn for another 45 minutes and hope for the best :-). Would the batter be more stiff when I would add more sugar? I’m happy to hear you tried my recipe! How big meringues did you make? The bigger they are, the longer they’ll need in the oven. Mine were about 2 inches (4-5cm) in diameter and were done at the time and temperature stated in my recipe. If you do bake them for longer, make sure you keep an eye on them because they quickly brown and burn! Adding more sugar will likely make your batter a bit thicker and stiffer. But make sure you are whipping the batter for long enough to assure it stiffens up as it should, using an electric mixer you should whip it on high speed for about 5-10 minutes. The batter should be so stiff that you can hold the mixing bowl upside down without it spilling out. Good luck! Hi Tina – do you know if the Chickpea brine contains any toxins or nutrients that have come from the beans? or were I can find more information. I have been searching online but haven’t really found anything yet. Thanks in advance for your help. Hi Tina, I just found you via this pin. I love meringues! I am in shock how easy this recipe is. There is no way I can’t try it. Thanks, looking forward to checking out your blog. Glad you found your way to Banana Bloom. 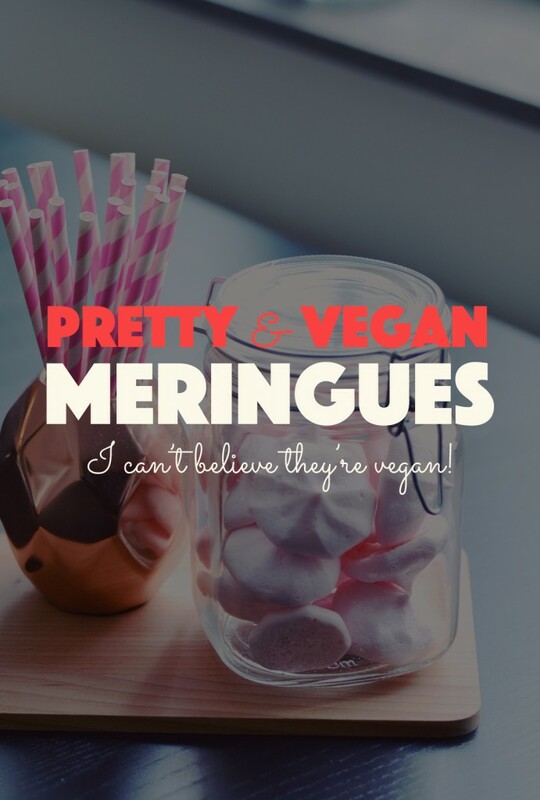 These vegan meringues are so simple and so much fun to make! I couldn’t believe it myself the first time I made them. Who’d have thought that chickpea brine could be so versatile? You can make all kinds of things with it. I have a recipe for ice cream using chickpea brine too. I hope you have fun with this recipe. These meringues look so good, but I’ve tried them twice now and they just disintegrate into little pools of liquid sugar! I beat the chickpea brine until nice a peaky, then added the sugar. They go into the oven looking just right, but disappointingly start to dissolve after about 10 mins. Then end up as nothing! I’m in the UK, so I don’t know if the chickpea brine is different here. Such a shame ? This looks so good!!! Fresh and delicious. So I’d like to try this one!